110 grams organic, vegan friendly Kallo Savoury Rice Cakes. The Kallo Savoury Rice Cakes 110g product ethics are indicated below. To learn more about these product ethics and to see related products, follow the links below. ...have to hide them from the kids! cheese or soft cheese on, or with soup, or to dip into a lovely runny egg! Mmmmmm! Buying in bulk is so handy as they don't last long in our hhouse! 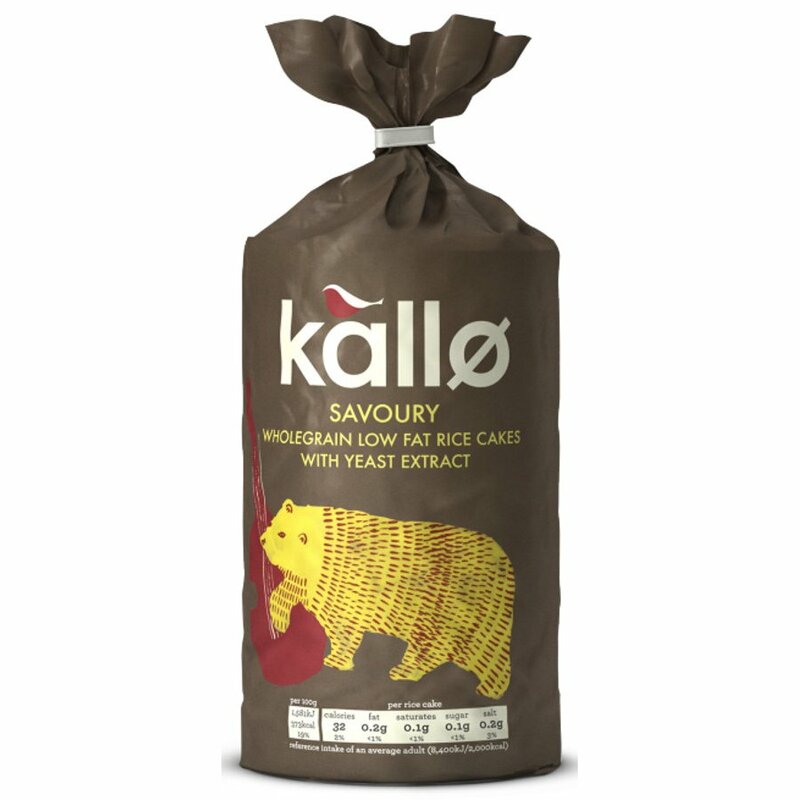 There are currently no questions to display about Kallo Savoury Rice Cakes 110g.